Blog Post List | Milnes Ford Inc. The Ford Mustang GT is one of the top muscle cars available today. Ford has gone all out with the latest design, and the American car maker has changed up the performance settings so that drivers have more control. You can now personalize everything about your driving experience. There are three different engines, two different transmissions, and five performance settings. This includes the all new drag strip mode, which is exclusive to the Mustang GT brand. 13% had low or contaminated brake fluid. 18% had dirty air filters. 17% had inadequate cooling protection or low coolant levels. 16% needed new windshield wiper and 27% had low or contaminated washer fluid. You are determined to purchase a high-quality vehicle and you want to do that while still sticking to the budget that you have created for yourself. When you purchase a Ford Certified Pre-Owned vehicle, you get set up with something that is going to impress you with its quality and that is also priced right. 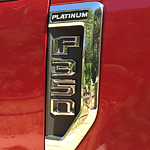 The Ford Certified Pre-Owned program is a popular program among people like you. 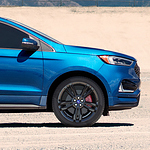 If you are looking for more performance out of your SUV, the Ford Edge ST has all of your needs covered. As the performance model of the venerable Ford Edge SUV, this vehicle is equipped with the latest in automotive capability innovation. The Edge ST aficionados at Milnes Ford Inc. are ready to show you how this SUV can meet all of your automotive performance and comfort needs. When getting the Super Duty ready for the road in Lapeer and beyond, Ford made sure the heavy-duty truck could withstand a variety of conditions. These trucks have gone through over 12 million miles of testing, proving that they offer exceptional performance in a variety of conditions. These trucks have been made using high-strength, military-grade aluminum alloy. 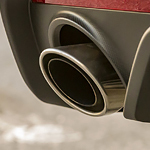 This material makes up the body of the Super Duty, and it offers the advantage of being lightweight and ding- and dent-resistant. Further, the solid front axle on all the 4x4s that we carry at Milnes Ford Inc. 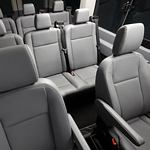 If you're on the hunt for a vehicle that meets your entire family's needs, take a look at the new Ford Transit Passenger Wagon. This popular full-sized passenger wagon is available in a number of configurations. It also has features that can keep you comfortable no matter where you go. We here at Milnes Ford Inc. are eager to show you what this wagon has to offer. What Can a Ford Expedition Add to Your Life? All of us at Milnes Ford Inc. love the Ford Expedition. It helps drivers like you in Lapeer and the surrounding area lead big lives. Expedition's capability features make your bigger life possible. The Ford Escape is a popular crossover available at Milnes Ford Inc. in Lapeer that's equipped with many helpful technology features. 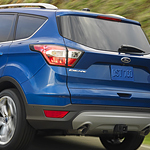 Two of our favorite technology features of the Ford Escape that help keep drivers safe on the road are the Blind Spot Information System (BLIS) and the lane-keeping system. Ford has announced that Ford Co-Pilot360 will come with its cars, trucks, and SUVs in 2019. 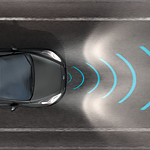 This is a suite of standard driver-assist technologies. Our team at Milnes Ford Inc. in Lapeer shares a goal to keep our customers informed about the new technologies and features that come with the vehicles in our inventory, so find out additional information about Ford Co-Pilot360 below.